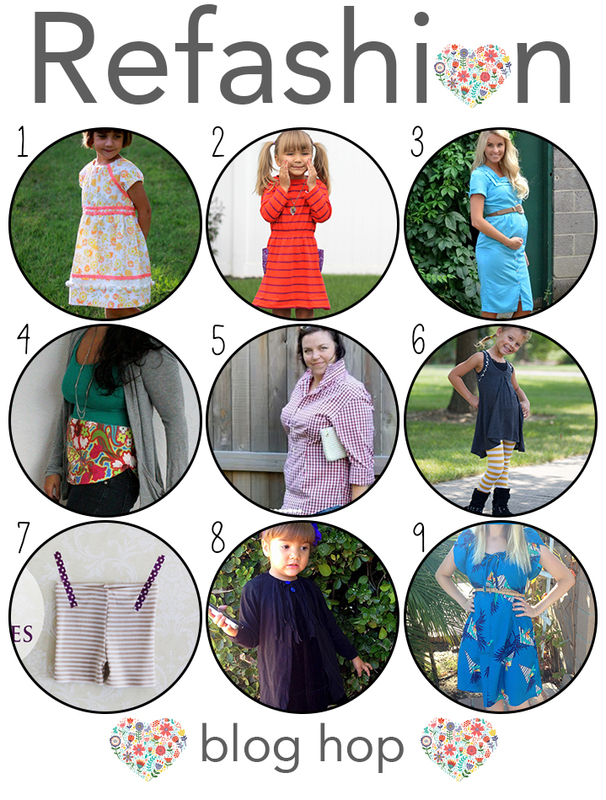 I’m so excited to be joining in with some of my favorite sewing bloggers for a DIY Refashions blog hop. I’m sharing a 15 minute Tank Upcycle Tutorial that I made for this month’s Sew Our Stash. I love how just a little bit of experimentation can breathe new life into a piece of clothing that isn’t finding favor with the closet gods. Whether the garment doesn’t fit properly, is damaged or stained, or just wasn’t getting enough wear upcycling can be fun and turn a ho-hum piece into your newest favorite. Check out all these awesome projects! And just in case you missed it I’m giving away a 100$ Jo-Ann Fabric and Crafts gift card and there’s just a tiny bit of time left for you to enter!